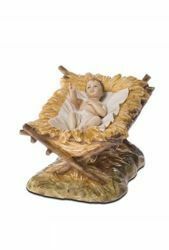 With its 15 resin statues and figurines, the prestigious handcrafted Italian Landi Moranduzzo Nativity Scene cm 18 (7 inch) in Arabic style represents a collection of great beauty for the home, Churches, squares and public places. The large size nativity scene characters, the artistic backgrounds and animals are original works created by the italian sculptor Martino Landi, descendant of a family of artists who carved statues for classic Nativity Scenes and Sets for four generations. Each Nativity figure is made of resin and is painted entirely by hand. Complete unexpensive collectible Arabic Nativity Scene figures vintage style in resin for home, Curch and public places with excellent quality/price ratio. 100% Made in Italy. 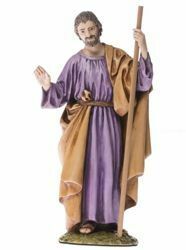 Saint Joseph - Hand painted resin figurine for Landi Moranduzzo Nativity Scene in Arabic style. Prestigious line of resin statues, finished and painted by hand. Handcrafted Italian Nativity scene, 100% Made in Italy. Baby Jesus and Cradle - Hand painted resin figurine for Landi Moranduzzo Nativity Scene in Arabic style. 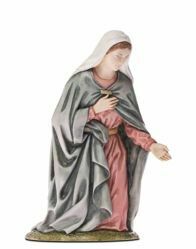 Mary / Madonna - Hand painted resin figurine for Landi Moranduzzo Nativity Scene in Arabic style. 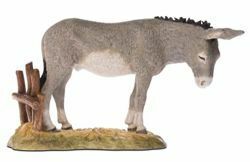 Donkey - Hand painted resin figurine for Landi Moranduzzo Nativity Scene in Arabic style. 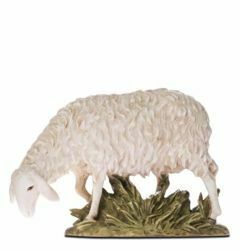 Sheep - Hand painted resin figurine for Landi Moranduzzo Nativity Scene in Arabic style. Ox - Hand painted resin figurine for Landi Moranduzzo Nativity Scene in Arabic style. 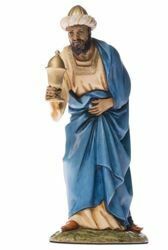 Balthazar Wise King Black - Hand painted resin figurine for Landi Moranduzzo Nativity Scene in Arabic style. 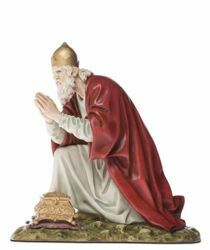 Melchior Wise King Saracen - Hand painted resin figurine for Landi Moranduzzo Nativity Scene in Arabic style. 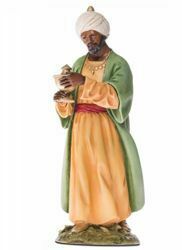 Caspar Wise King White - Hand painted resin figurine for Landi Moranduzzo Nativity Scene in Arabic style. 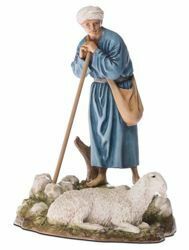 Good Shepherd - Hand painted resin figurine for Landi Moranduzzo Nativity Scene in Arabic style. 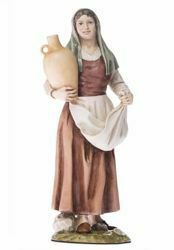 Woman with Amphora - Hand painted resin figurine for Landi Moranduzzo Nativity Scene in Arabic style. 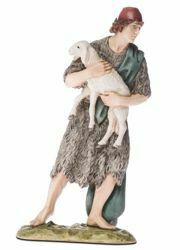 Guardian with Sheep - Hand painted resin figurine for Landi Moranduzzo Nativity Scene in Arabic style. 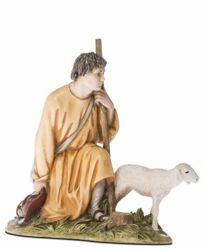 Kneeling Shepherd with Sheep - Hand painted resin figurine for Landi Moranduzzo Nativity Scene in Arabic style.